Fifteen guys that weren't there for them (when the rain started to fall). ​1. Barry, played by Mitchell Whitfield. Then: Before there was "The Rachel," there was "The Long Island Rachel," a spoiled daddy's girl engaged to Barry the orthodontist. Except then she ditched him at the altar and fled to Manhattan in her wedding dress, where she bumped into her old high school friend Monica. The rest was Central Perk history. IRL: Mitchell Whitfield actually auditioned for the part of Ross but was cast as Rachel's jilted fiancé instead. 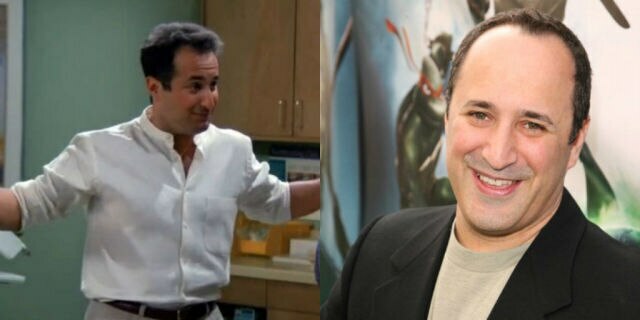 He has since guest-starred on TV shows like CSI and Curb Your Enthusiasm,and does a boatload of voiceover work for video games and animated series like The Legend of Korra and Transformers: Robots in Disguise. He's also editor in chief of a tech website and hosts a radio show on SiriusXM. No word on what happened with Mindy. 2. Paolo, played by Cosimo Fusco. Then: With her newfound big city freedom, Rachel did what anyone would do: She found a hot foreigner to bone. Rachel and Paolo's relationship irked a pining Ross to no end, but, fortunately for Ross at least, it didn't take long for Paolo to put the moves on Phoebe and get himself banished from the group. 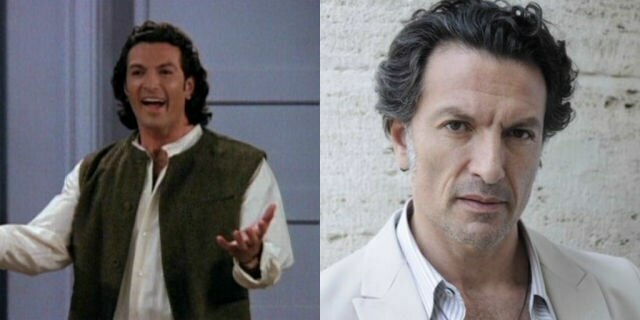 IRL: Italian actor Cosimo Fusco has appeared in films like Angels & Demons and several other German and Italian series. He lives in Rome and is aging very, very well, as Italians often do. 3. 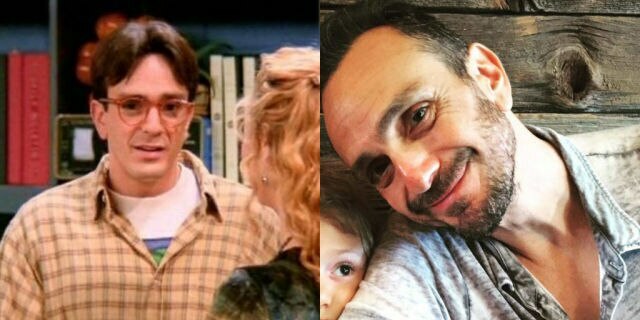 David, played by Hank Azaria. Then: David, the mild-mannered scientist who popped in and out of New York, was a real heartbreaker. After quickly falling in love with Phoebe, he left her to pursue his career in Minsk — which, sure, isn't quite as far away as Yemen but still far enough to make the whole long-distance thing difficult. 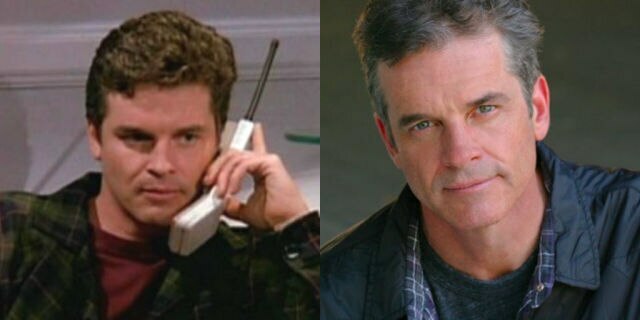 And this was the '90s, aka pre-Skype. When he finally returned for good, Phoebe had moved on to her (eventual) husband, Mike. Yay, Mike. 4. Ryan, played by Charlie Sheen (!!). 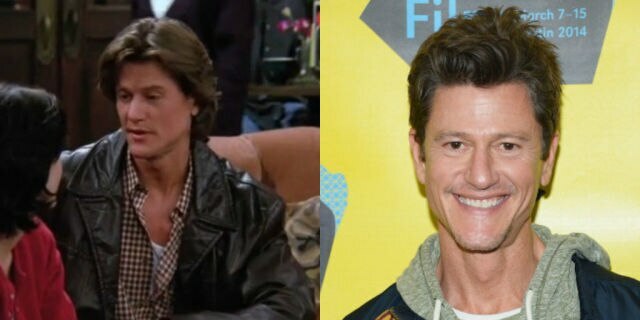 IRL: Ryan was played by Charlie Sheen, one of many well-established celebrity cameos. 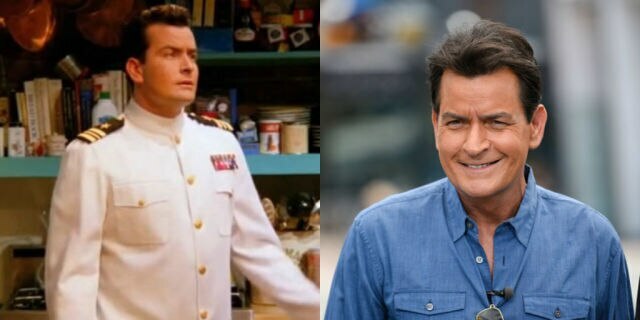 Sheen went on to a long career in TV comedy with Two and a Half Men, before, um, going a little off the rails and anointing himself a tiger-blooded Twitter warrior. 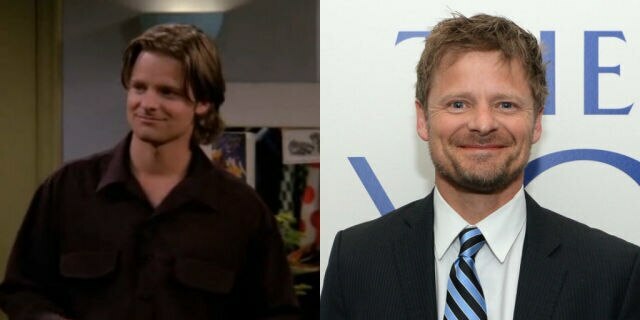 We prefer the kinder, gentler '90s Charlie, at least when he's not contagious. Then: Everybody loved Monica's boyfriend, but after a few dates, Monica noticed it was booze (and lots of it) that put the "fun" in Fun Bobby. After gently broaching the subject, Fun Bobby decided to quit drinking, turning him into Sad Bobby. To cope with his new mopey disposition, Monica turned into Drunk Monica. 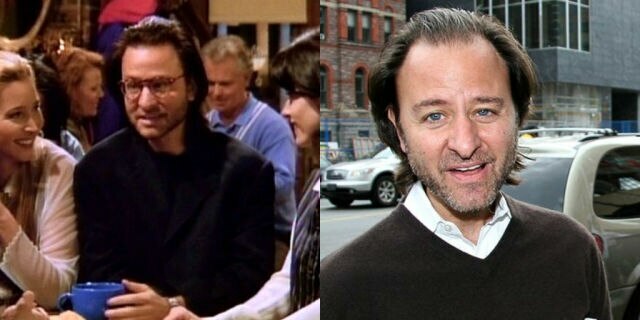 IRL: Vincent Ventresca has worked steadily since his days on Friends (and he played the douchebro-turned-sadsack in Romy and Michele's High School Reunion alongside Lisa Kudrow and current Jennifer Aniston manpiece Justin Theroux). He'll always be Fun Bobby to us, but he's also widely known for his role on the cult classic The Invisible Man. Then: What do you do when you come across a yeti in your apartment building? Fog him, of course! And when that yeti shaves his beard and turns out to be pretty cute, well, you date him (if you're Rachel). Despite things looking pretty promising with Danny, the relationship ended after Rachel was weirded out by his touchy-feely relationship with his sister. Then: With a squad this tight, bringing in any outsider is hard. Why do you think they mostly ended up with each other, after all?! But when that outsider is a psychiatrist and takes pleasure in pointing out your girlfriend's friends' ticks and secret insecurities, well, it's a dating death sentence. When Phoebe told Roger that everyone, like, hated him, he lashed out at the group's codependent tendencies. 8. 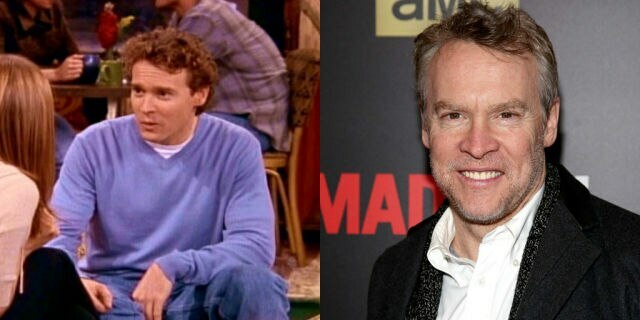 Joshua, played by Tate Donovan. Then: Rachel was demoted to a personal shopper position at Bloomingdales and was ready to quit when she met Joshua, a crushworthy divorcée. She tried several ways to ask him out (without actually asking him out) and eventually the two started casually dating … But he was quickly scared off by what appeared to be Rachel's obsession with getting serious. IRL: Tate Donovan was Jennifer Aniston's boyfriend at the time of filming — he's one of many real-life partners who made it onto the show. Others include Julia Roberts (who dated Matthew Perry), David Arquette (married to Courtney Cox at the time), and Brad Pitt. OK, let's not go there. 9. Ethan, played by Stan Kirsch. Then: This storyline probably wouldn't fly on TV today (although, hello, Ezra Miller in Trainwreck), but it did seem funny at the time. Monica started dating a younger guy, only to find out, post-deflowering him, that he's really young. As in "can't stay over, I have a calculus quiz first period tomorrow and I need to study" high school young. Yeah, there's a reason they called this episode, "The One With the Ick Factor." 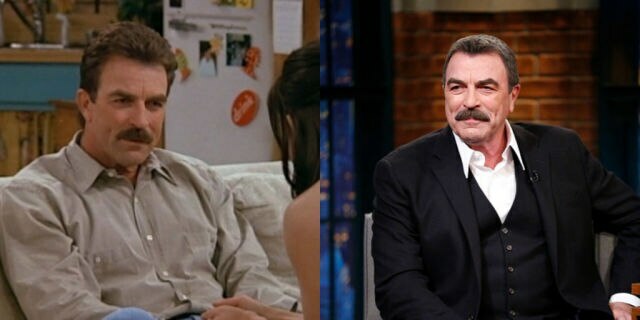 Then: While we like to think of Ross as "the divorce guy," Phoebe also had a significant significant other. When a cute ice dancer showed up looking for her, because that's the sort of thing that would happen to Phoebe, the gang was shocked to find out that (1) she was married and (2) she legit loved her husband — even though he was gay. And Canadian. When you think about it though, this is quintessential Buffay brilliance (and not shocking at all). Unfortunately for Phoebs, Duncan resurfaced only to request an end to their green card marriage so he could marry — shocker — another woman. Then: After bumping into longtime family friend Richard at a party, Monica became, in the words of Phoebe, a smitten kitten. Despite their 21-year age difference (and the fact that he was friends with her parents, and a grandpa), Richard and Monica embarked on a long-term relationship that only ended when he decided he wasn't up for having more children. He tried to reconcile later on, but she'd already moved on to Chandler. 12. Mark, played by Steven Eckholdt. IRL: Steven Eckholdt went on to work on ​The West Wing​, ​The L Word​, ​Bones​, and ​Rizzoli and Isles.​ According to his IMDb page, his nickname is Mr. Perfect. Bet Ross doesn't think so. ​13. 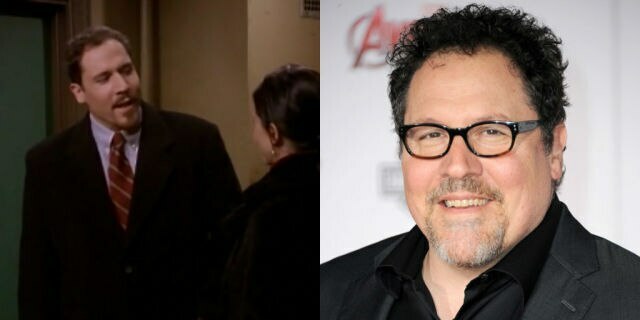 Pete, played by Jon Favreau. Then: After a series of professional mishaps, Monica was struggling to find work as a chef and took a job in a 1950s-themed diner (the one where she was forced to wear a boobtastic uniform). It's there that she met Pete, a regular customer and multimillionaire who took her to Rome for their first date. I mean, where else can you get good pizza? The two got pretty serious, but when Pete decided to devote his energy to, of all things, being a UFC fighter (he's pretty bad at it), Monica broke up with him. Then: When searching for a new assistant, Rachel found Tag, a very cute, very young, and very unqualified candidate. Obviously, she hired him immediately; look at those eyes. The two began a workplace affair that Rachel ended when Tag showed up at her 30th birthday on a razor scooter. The shame of it all. And 15. 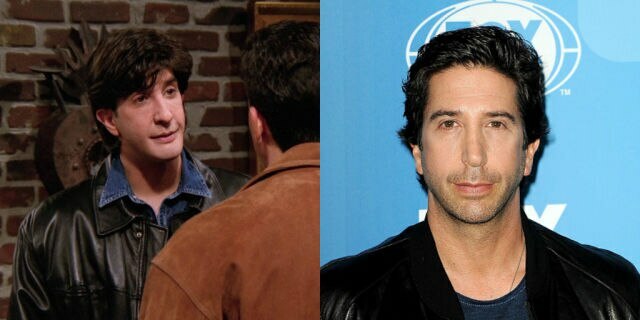 Russ, played by David Schwimmer. 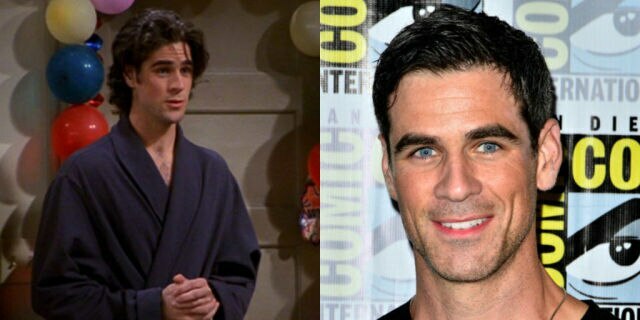 Then: After getting into a fight with Ross over a list he made of all her faults, Rachel started dating Russ, a Ross look-alike with a similar, halting way of speaking. Upon realizing the glaring similarities, Rachel dumps Russ (and he moves on to Ross's ex, Julie). IRL: No surprise here, Russ is Ross — David Schwimmer played both parts, but the credits listed a pseudonym, "Snaro," for the role. We'll see Schwimmer playing Kardashian patriarch Robert Kardashian this fall in American Crime Story: The People vs. OJ Simpson.